Swansea Council has reneged on former promises to maintain the only library left on Gower. It seems that the decision to close Pennard Library was made without proper consultation. Latest update ….. this is challenging, but we’re not giving up! FoPL met, earlier this evening (16th October, 14), with Councillor Robert Francis-Davies, Councillor Mark Child and Local Authority officers regarding the new cabinet members’ decision to withdraw the library service from Pennard in April 2015. The CyMAL grant of £118k, which would have contributed to the rebuilding of the library, comes with the stipulation that the Local Authority must provide the current librarian service for five years. Despite knowing of this stipulation when the grant was applied for, the new cabinet – in the face of further cuts – does not feel able to support the service financially for a further five years. AN under-threat library and the preservation of our steel industry history are set to receive a hefty cash boost. The Welsh Government has announced £2.2 million in funding for libraries, museums and archives. As part of the pot Pennard Library, which was recently given a reprieve from closure, has been awarded a share of nearly £1 million, as has Pontardawe Library. 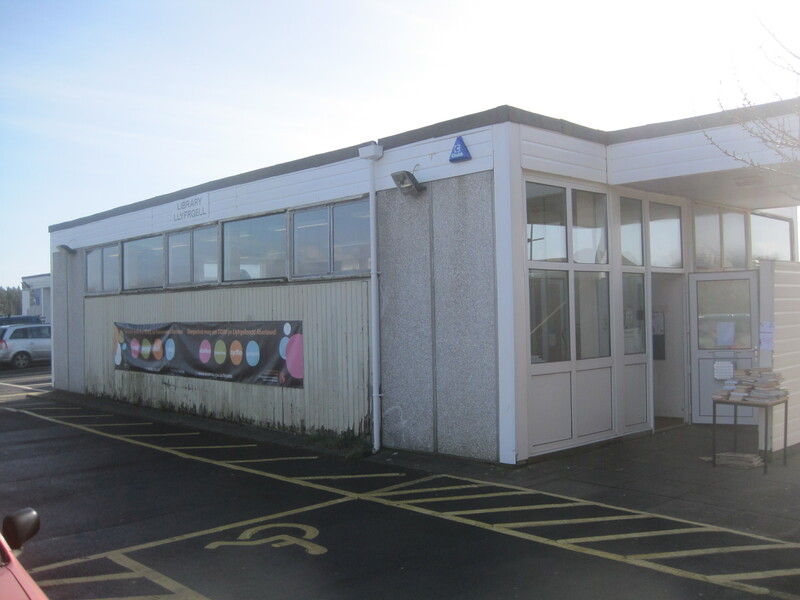 Pennard Library was listed for closure under Swansea Council’s 2014/15 budget. However, after a robust campaign, it was taken off the table at the last minute and the community was offered the opportunity to run it with Swansea Council. PENNARD LIBRARY HAS BEEN AWARDED A MAJOR GRANT TO KEEP OPEN! The Minister for Culture and Sport, John Griffiths has today announced the latest round of grant funding for Welsh libraries, archives and museums. Making the announcement at the Richard Burton Archives in Swansea University the Minister outlined how the £2.2m funding will be used to develop, promote access to and encourage use of the rich and diverse collections on offer at museums, archives and libraries across the country. £140,000 for archives in order to widen access to archival resources. The Minister made the announcement at the Richard Burton Archives in Swansea University, which is one of four archive services across Wales to benefit from grant funding to open up access to their collections relating to the steel industry as part of the ‘Wales Showing Our Metal‘ project. A Welsh Government grant of £20,000 along with £56,000 from the from the National Cataloguing grant scheme will enable the Richard Burton Archives, Glamorgan Archives, Flintshire Record Office, Archives and Records Council Wales, Wrexham Archives and Local Studies to catalogue and make details available online of the archives of the Iron and Steel Trades Confederation, British Steel Collection and the Brymbo Steel works collection. “This welcome investment will enable local museums, archives and libraries to develop their services, improve facilities and encourage greater use by the public. “It will help promote our rich culture and heritage and ensure that more people can access and enjoy our collections.